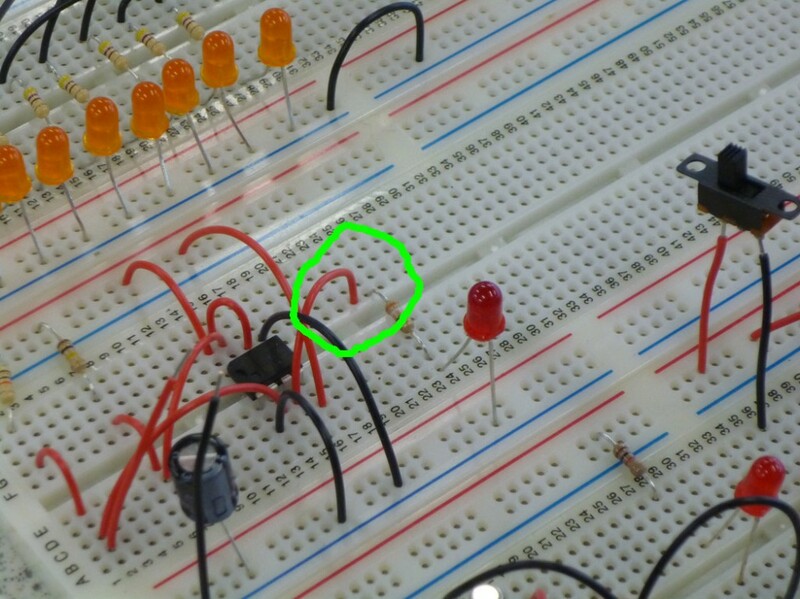 As this is a breadboard circuit the connection needs to be on the same vertical line of connections as the resistor to make the connection. Does it smell of burning? Top down, bottom up or split depending on type and size of circuit. 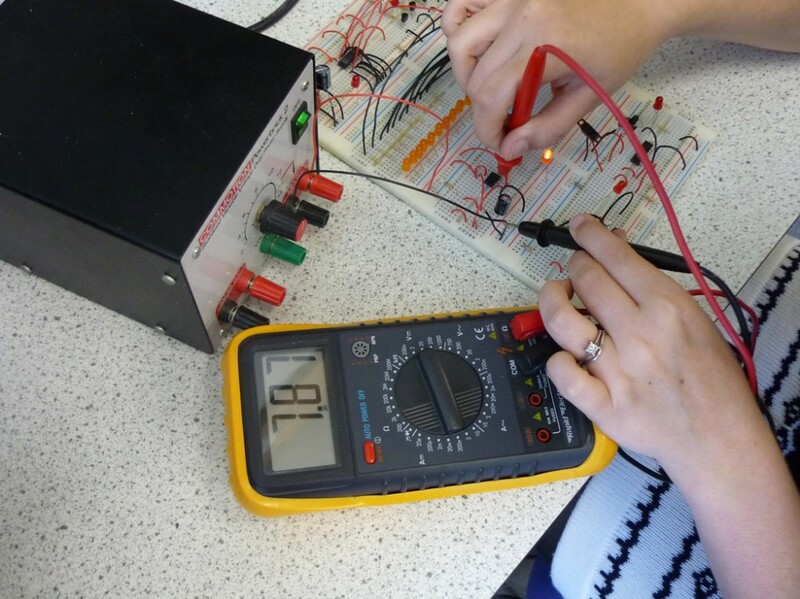 Multimeter to check continuity and voltage values. Ocilloscope to check signal types and changes. This only left Pin 3 which is the output going to the LED, surprisingly this is also going high when the switch is closed, power is getting to the LED… Steve must have fried it!